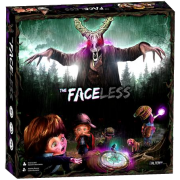 Home / Kickstarter / The Faceless (Dark Pledge) Kickstarter Exclusive – Nu beschikbaar! 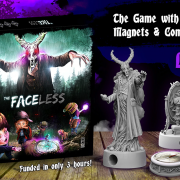 The Faceless (Dark Pledge) Kickstarter Exclusive – Nu beschikbaar! 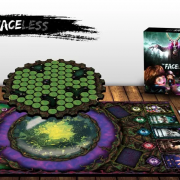 The Faceless is a game with a never seen before mechanic: you move indirectly a compass through the movement and rotation of the miniatures on the gameboard. 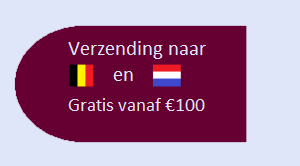 Every time you move one, you will influence the magnetic field generated, thus indirectly changing the direction where the compass is pointing to. 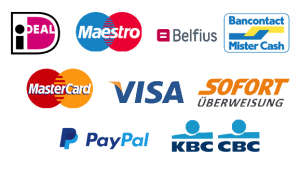 at each step of the compass, the direction of the needle can potentially change forcing you to move on new directions. Learning to control and predict these movements is vital to succeed in the Duskworld.